If you write novels, short stories, or nonfiction, and don’t know about the Goodreads site, you should really make some time to explore it here. Goodreads is a site that brings authors and readers together. Readers put books on their “to-read” shelf, tell their friends how far along they are, whether they’ve finished it or abandoned it, and most importantly, what they think of it. As an author, you get the excitement of the buzz about your novel, and then you get valuable feedback about your book. And all for a nominal amount of money. News & Notes: My blog tour starts today! I’m taking THWARTED QUEEN on a HISTORICAL FICTION VIRTUAL BLOG TOUR today. To start it with a bang, I’m doing a Goodreads Giveaway. Valued at $18.99, this paperback will be yours for FREE if you enter the giveaway. This month, I feel that I am last getting some traction. I’ve done more giveaways on Goodreads, and I’m very pleased with the result. To date, 2,658 people have participated in my giveaways, and 369 people have listed my books on their “to-read” shelves. I’ve also been busy in the blogosphere. I’ve done two guest interviews with Morgen Bailey and with Stephanie Moore. Stephanie not only came to me to ask for an interview, but she’s hosting a giveaway of THWARTED QUEEN, which ends April 11. 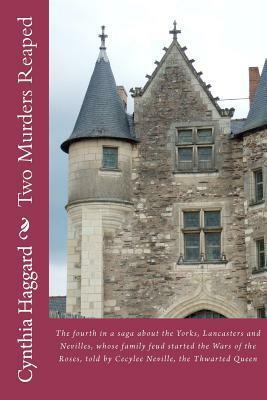 If interested, please go to: http://www.goodreads.com/topic/show/847094-interview-with-author-cynthia-haggard-giveaway. I want to thank you all for your support during my recent giveaway. Nearly FIVE HUNDRED of you requested ROSE OF RABY. And one hundred and four of you have put it onto your to-read list. Thank you for your support! The winner of this giveaway is Emilia of Minnesota, who will get a SIGNED COPY of ROSE. Giveaway ends April 06, 2012. The winner of my fifth Goodreads Giveaway is…Ryan of Missouri! I want to thank you all for your support during my recent giveaway. 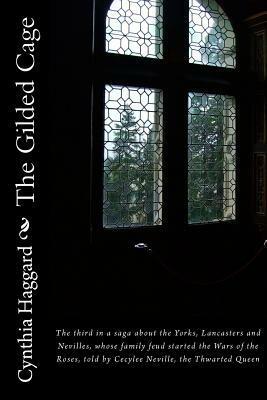 Nearly FOUR HUNDRED of you requested THE GILDED CAGE. And eighty-three of you have put it onto your to-read list. Thank you for your support! The winner of this giveaway is Ryan of Missouri, who will get a SIGNED COPY of CAGE. Welcome to my sixth Goodreads Giveaway! 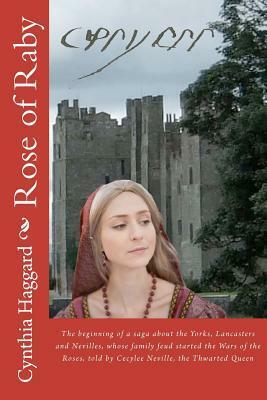 Here is another chance to win a FREE AUTOGRAPHED paperback of ROSE OF RABY. says a 15th-century ballad. But what of 9-year-old Cecylee? Does she want to marry 13-year-old Richard of York? Does she want to marry at all. For by the age of ten, Cecylee has known too much violence at the hands of men. Last month, I told you that I decided to confine myself to running Facebook ads and doing more videos to publicize my campaign. This month, I’ve reversed myself. Why? Because the numbers aren’t working for me. As of today, only 22 people have seen my video on YouTube. And the numbers for my last Facebook Ad campaign weren’t that great: For an ad that targeted over 20 million users, I only got 79 clicks. When I looked at the traffic on my website, I saw that it had dropped off when I stopped the Google Adwords campaign. So I re-started my campaign. In the last 14 days, I’ve received 17 clicks. Obviously, I’m going to have to carve out some time to make my ad campaign more successful! Then I read a couple of articles about Goodreads, and how helpful that had been for getting a book known. At the beginning of March, I started Goodreads Giveaways, and hands down that has been the best investment of time I’ve spent. For about $6 (the price that it costs me to mail the book across the US or Canada), I’ve gotten about 520 people interested in participating in each giveaway (I’ve run three so far), and of those people, on average 70 people have put the book into their to-read list! Stay tuned for updates.